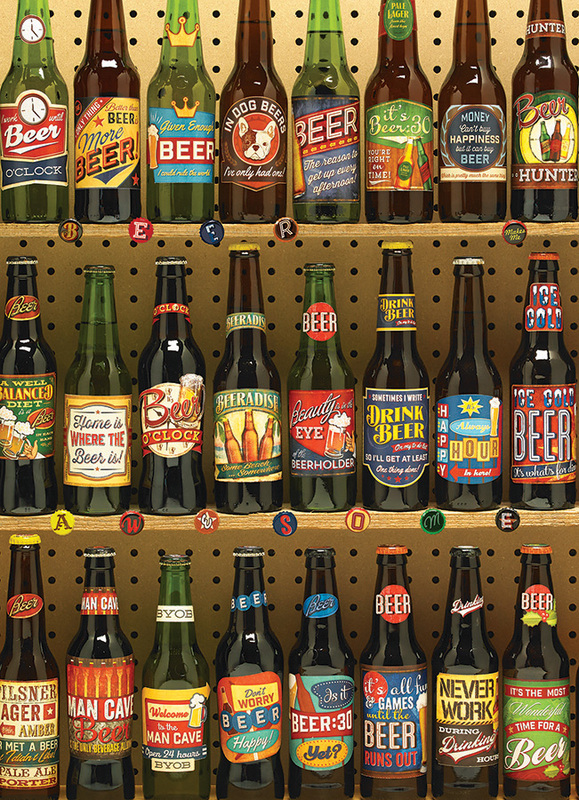 99 bottles of beer on the wall, take one down, and you pass ... or, you could just buy a Beer Collection puzzle and stare at it. No passing, no drinking, just good old fashion jigsaw puzzling fun! Cool custom made logos make this a unique puzzle-brew. Cheers! Item # 80082 Weight 1.61 lbs.